Landing Pad Parking Apron Quadcopter Pad for DJI Mavic Phantom 3 4 Pro by uptogethertek at Open Drone. Hurry! Limited time offer. Offer valid only while supplies last. 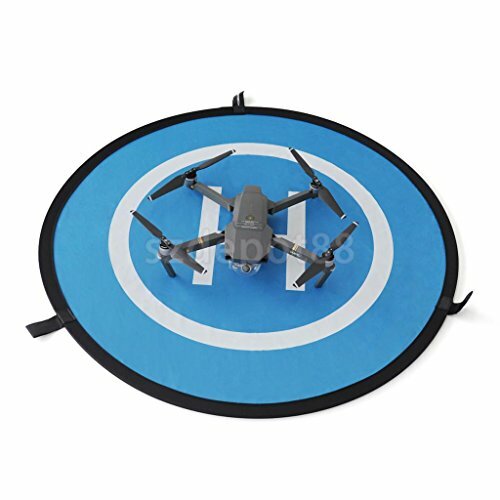 Landing Pad Parking Apron Quadcopter Pad for DJI Mavic Phantom 3 4 Pro SKU: LXO0000723161001950 Description: Fast-Fold portable Landing pad for drone: size of 30"(75cm) unfolded , 12" (30cm) folded with Double-sided color design(Blue & Orange). Compatible for wide range of drones: DJI Phantom 3/4 Pro Mavic Pro Inspire Reflective sticker for night flying: help locate the pad at night for better experience, to be pasted out of printed circle area.